Apologies for not keeping this site up to date with new things published over at Elder of Ziyon. Will be catching up over the next few days. By now, many of you have probably seen this video of a “prominent” human-right BDS activist Simone O’Broin going nuts on an Air India flight when the flight attendants refused to give her more alcohol than the huge amount she had already clearly consumed. Her tirade, including expletives and racial slurs directed at those denying her booze, was also wrapped in a drunken version of the sort of self-righteous outrage O’Broin and her ilk tend to serve up to anyone who challenges their demand to be given the moral high ground immediately and unconditionally. This is just the latest example of boycotter misbehavior we have seen in recent years. Just a couple of years ago, for example, Husam El-Qoulaq (who played a central role in organizing student government divestment votes as an undergraduate) won Internet fame as the Harvard Law School student who told Israeli political leader Tzipi Livni that she smelled. Despite best efforts by El-Qoulaq and the school to erase this misbehavior from personal and public records, and best efforts by apologists to put his infantile comments “into context,” El-Qoulaq now stands alongside O’Broin as exemplars of what is really going on in the mind of the BDSer. Keep that in mind the next time they try to feign reasonableness before an audience they are trying to sucker. Speaking of suckers, the decision by the online travel firm AirBnB to delist properties in the disputed territories (but only the ones owned by Jews) can be seen as the latest attempt by political activists to go around the political process by targeting the Internet firms that control access to goods, services, news and interpersonal communication. Given how much time I and others have spent debunking BDS hoaxes, it is in our interest to admit when the BDSers score a rare win, if only as a point of contrast. But it should also be acknowledged that this win, which came at the end of a two-year bullying campaign supported by wealthy and high-profile organizations like the increasingly contaminated Human Rights Watch, ended not with the crippling of the Jewish state’s economy but rather with a few dozen houses no longer being included in one of many online travel sites. This story can also be seen in light of the traditional BDS tactic of demanding someone else take action with no concern for the consequences that someone else will have to bear. Already, AirBnB has faced stiff criticism for their hypocrisy, given how many human rights abusers – including genuine occupiers of other people’s territory – they continue to include in their listings. The inevitable lawsuits are beginning to kick in, and it’s just a matter of time before the company is asked to explain why their decision should not trigger action by the many, many US states that have anti-boycott legislation on the books. As those consequences gel, I suspect that the many compliments AirBnB received for caving to BDS pressure will not translate to a scintilla of support for a company that must now bear the brunt of a choice forced on them by others. Freiers. Having just mentioned a BDS win, it’s worth noting that the boycotters are still trying to pull fast ones on the public when they announce their latest “victory” on a BDS web sites or in some breathless press releases. How did this come about? Well, as at Hampshire, Leeds has been targeted for years by anti-Israel activists demanding investments in several large and prominent companies pulled from the school’s portfolio. And, like every other similarly targeted university on the planet, they have refused to do so. But given the scale and diversity activity of their portfolio, it was just a matter of time before some of those investments got moved in and out, either for purely financial reasons (like the stock not doing well) or for political reasons having nothing to do with the Middle East. 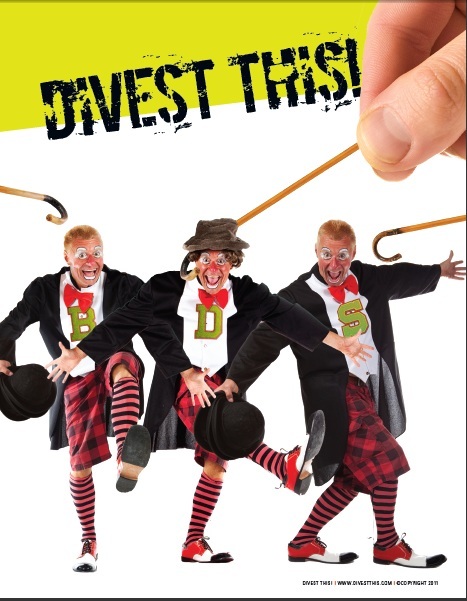 As I’ve noted before, divestment is a political act which means taking a financial step without announcing publicly that you are doing so for a clearly stated reason means political divestment has not occurred. In the case of Leeds, as at Hampshire, the school has actually stated explicitly that they did not do what the BDSers say they did, making it even more clear that divestment has not occurred. Given that Hampshire is still trotted out as a BDS “win” nearly ten years after this ur-BDS hoax was exposed, don’t expect Leeds to get dropped from Omar Barghouti’s slide deck anytime soon. Does Hampshire College’s anticipated demise have anything to do with the PR fallout from the [fake] BDS “win”? Could be, although I suspect their problems are the result of a number of factors, including an attempt to be more selective in hope that more students who start at Hampshire will be enough of a fit to finish there (https://www.gazettenet.com/Hampshire-College-patches-$2-6-million-budget-gap-resulting-from-enrollment-shortfall-4450630). The shenanigans of SJP probably caused a dip in applications when they made news, but that doesn’t seem to have given them the same long-term problems faced by schools like Evergreen with ongoing PR issues. The big problem Hampshire faces is its non-existent endowment (just $40 million), which means it has no cushion when hard times hit. Which is ironic, given that the controversy that caused us to pay attention to the college more than a dozen years ago (and caused me to start Divest This) was over divestment activity related to that tiny endowment.